Making sure your business is up to date with taxes and managing your accounts can be intimidating and time consuming. Bosco can navigate the minefield of tax obligations your business faces by offering a range of services, advice and planning to help you achieve the best results for your business. We work with you to make your business the most successful and efficient it can be. Bosco Accounting takes the hassle out of your Business Activity Statement (BAS), working with you to get the best result for your business. 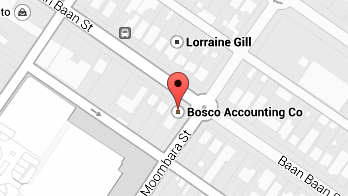 Bosco Accounting offers specialised accounting for business clients. We work with you to help you better understand how tax affects your business and what you can do to make your business more financially efficient. With experienced bookkeepers and strong backgrounds in business accounting, Bosco can help anyone with their bookkeeping needs. We offer a variety of different bookkeeping methods, from straightforward manual bookkeeping to Cloud accounting, depending on the needs of your business. Thinking of starting a business? Bosco Accounting can provide indispensable start up advice, as well as offering a variety of business structures for the road ahead. Considering purchasing a business? Bosco Accounting can provide financial advice every step of the way, ensuring the transition of purchasing your new business is as smooth and cost-effective as possible. If you are looking to expand your business or simply improve it, Bosco can offer advice based on years of experience with developing businesses. We are dedicated to helping our business clients succeed and evolve to meet the challenges facing businesses today and in the future. Bosco can offer a full health check for your business, with financial, business and cash flow analysis as well as budgeting advice, to give you a better understand of how your business is working and how to help it improve. We break down and optimise each financial element of your business for a better, more efficient whole. Bosco Accounting is always up to date with the latest accounting software, allowing us to offer support on any accounting program and advise which program is best for your business. Bosco can work with you to ensure all of your business’s tax obligations are met, making the process as efficient and stress free as possible. At Bosco we can help ensure that all your payroll and employee obligations are being properly met. From payroll to Higher Learning payments and employee Superannuation payments, we ensure these factors are handled efficiently and professionally. Bosco can offer advice on any and all finance applications you may want or need to make, and we provide help with the process of getting your application approved as soon as possible. We can help you seek the best financial support from the best sources. If you are thinking of buying a property and selling it for profit, Bosco Accounting can offer advice on the property development tax. We ensure your venture into the property market is as rewarding and straightforward as possible. Bosco can help to ensure your business is complying with all government tax obligations. Furthermore, we can provide a member of staff to keep minutes of meetings and management meetings to help you keep these events recorded and official if you so wish. Bosco Accounting offers motor vehicle tax advice and works with you to see how best to fit motor vehicle tax into your business structure and get the best claim for your business. Bosco Accounting can help you achieve the goals you have for your business in the most tax efficient means possible with tax planning advice. Our tax planning works with your current financial plan to minimise tax liability. Bosco offers advice and explanation on how your personal income and capital gains can affect your business to ensure you are never in the dark with income tax.